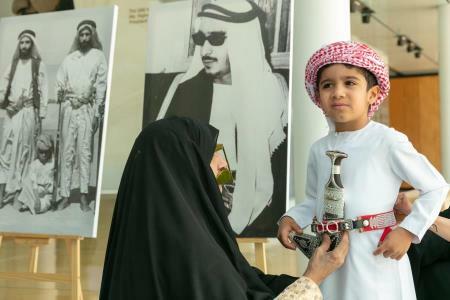 Under the patronage of His Highness Sheikh Khalifa Bin Zayed Al Nahyan, President of the United Arab Emirates, the 44th UAE National Day official celebration will take place at Zayed Sports City, Abu Dhabi on Wednesday, December 2. The official 44th UAE National Day celebration will be a spectacular visual show that celebrates the spirit of the union and its national pride. To attend the official celebration register at any of our registration points across the UAE simply by presenting your original Emirates ID card from November 11 – 29. Due to overwhelming demand Zayed Sports City Stadium has reached its full capacity for the 44th UAE National Day Official Ceremony, we are no longer able to accommodate any more visitors and registration has now closed. Entry to the stadium will not be granted without pre-registration. For those that have registered, we advise that you arrive early to the park and ride zones in Yas Island and Shahama where free transportation to the event will be provided between 2pm to 4pm.